This popular text, now in its third edition, "unpackages" the various dimensions of literacy – linguistic (the nature of language, oral-written language relationships, language variation); cognitive (constructive nature of perception, the reading process, understanding written discourse, the writing process); sociocultural (literacy as social practices, authority of written discourse); and developmental (constructing the written language system) – and at the same time accounts for the interrelationships among them. 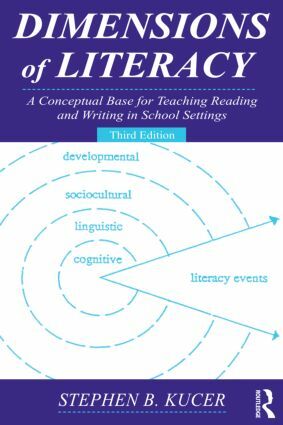 Distinguished by its examination of literacy from a multidimensional and interdisciplinary perspective, it provides a strong conceptual foundation upon which literacy curriculum and instruction in school settings can be grounded. Dimensions of Literacy links theory and research to practice in an understandable, user-friendly manner; provides in-depth coverage of the various dimensions of literacy; and includes demonstrations, hands-on activities, authentic reading and writing events that reflect key concepts, and tables and figures that summarize the concepts. include updated references throughout the entire book.